What was the inspiration behind creating BNBS? 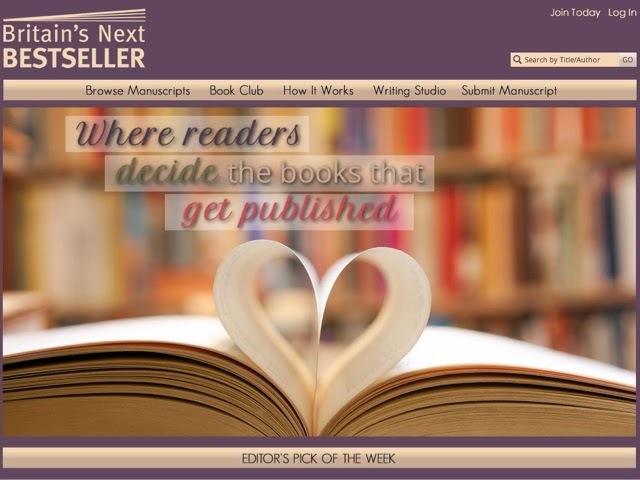 readers to decide the books that get published. Why is BNBS different to other publishing opportunities out there? What would be your dessert island books? walking round an island muttering gibberish to myself in another language. What author do you wish you'd published? "We have already received a lots of manuscripts – many of which have the makings of Britain’s Next Bestseller. Our websitewww.britainsnextbestseller.co.ukgoes live on 28th March 2014 with a group of talented authors that we have cherry picked for our launch – books covering a vast range of genres – chick lit, children’s picture books, paranormal romances, inspirational life stories, self-help, thrillers, historical novels, science fiction and fantasy… something for every taste. Once the website is live, all UK authors will be able to register and ‘pitch’ their manuscript to the public. Britain’s Next Bestseller will be the place where readers decide the books that get published and where authors can land a publishing deal. Here is a link to a 1 min film that explains how it workshttps://vimeo.com/88330897 feel free to share with them. You’ll also find us on Facebook!" I think it all sounds quite exciting and will definitely be checking out their website now that it is live-best of luck to all involved! You've sold the idea to me, I'm heading over now. I always try and read as many self published books as I can, because I know just how tough the industry is with book publishing. It's exciting isn't it, don't think it fully launches until working hours begin but looks good though!